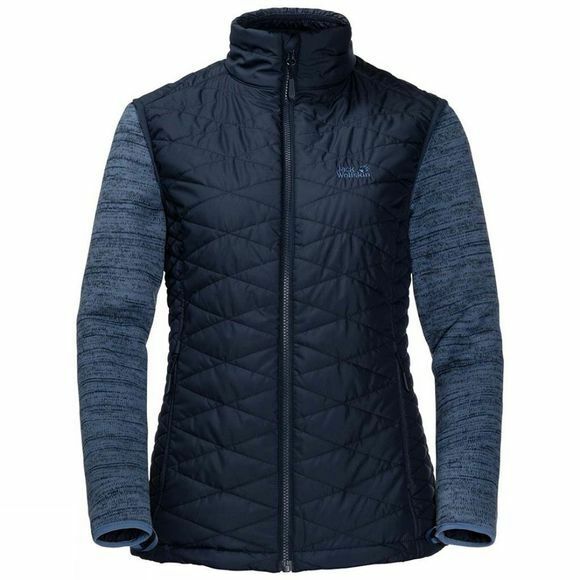 From cool, still mornings in the valley to windswept mountain peaks, with the Womens Aquila Glen Vest from Jack Wolfskin you can react flexibly to changes in temperature. The extra thick Nanuk 200 fleece insulates well and dries fast, so the wear comfort is consistently good, even after a long day on the trail. The exterior has a marled, knitted look that provides an extra touch of style. The gilet has a windproof outer fabric and robust, moisture-insensitive synthetic fibre insulation. This provides wind-chill protection and extra warmth for your core when the cool wind is blowing up on that ridge. 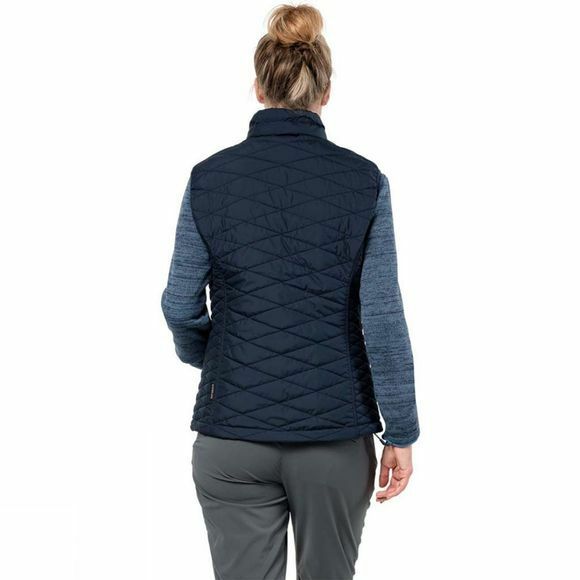 The jacket and gilet are connected via a system zip for maximum versatility.